57% of WordPress sites become less secure ☠️ in December 2018 due to old PHP version, and how to Upgrade PHP. 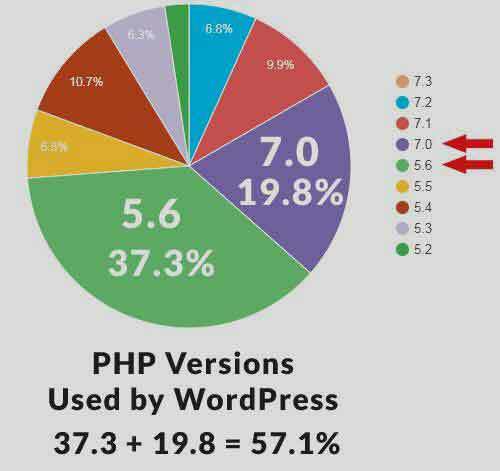 As you can see in the below image, 57% of WordPress sites run on PHP 5.6 and PHP 7. It is important to back up your WordPress site. The easiest way to do this is with the UpDraftPlus plugin or All in One Migration. Make sure all of your plugins have been updated to their latest version and can support the latest PHP version.